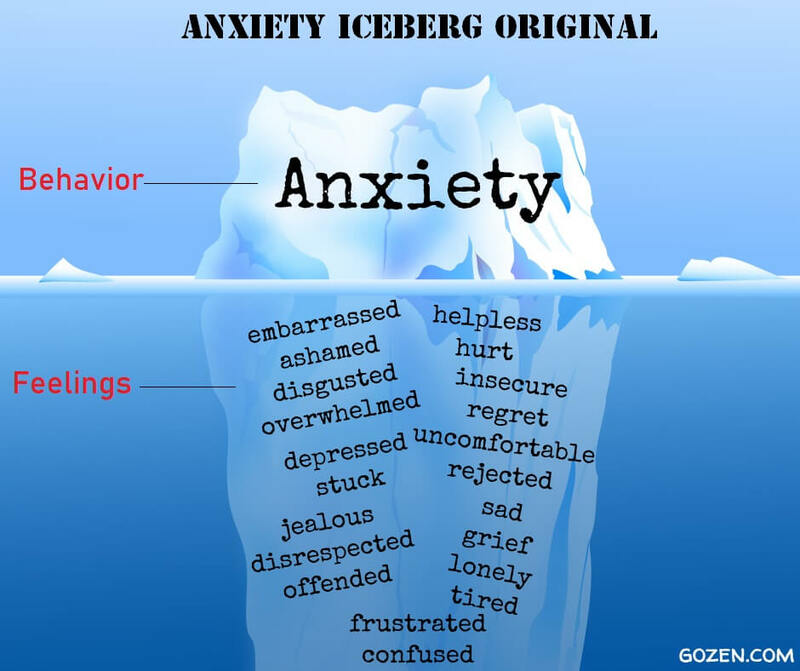 While the image above can be eye-opening, there’s a huge assumption that parents can actually recognize that tip of the iceberg or look at a child’s behaviour and say, “Yup, that’s anxiety.” Here’s the reality: anxious behaviour in children is not uniform. Anger and anxiety are also both activated in the threat centre of your brain. When the brain perceives a threat, the amygdala (a small, almond-shaped cluster of neurons in the brain) activates the flight-or-fight response which floods your body with hormones to make you stronger and faster. This genetic wisdom protects us from threats and danger. Because anger and anxiety are both activated from the same brain region and have similar physiological patterns (rapid breathing, heart racing, pupils dilating etc. ), it’s possible that when your child feels like there is a threat (e.g. going to a party), the fight or anger response is activated as a form of protection. As humans, we have a tendency to avoid things that are stressful or uncomfortable. These avoidance behaviours happen in two forms – doing and not doing. If you are trying to avoid getting sick, you may wash your hands repeatedly throughout the day (doing). If you are avoiding a person that makes you feel uncomfortable, you may skip a party or meeting (not doing). The only problem with avoidance is that it often snowballs. Children who are trying to avoid a particular person, place or task often end up experiencing more of whatever it is they are avoiding. If schoolwork is the source of a kid’s anxiety, they will go to great lengths to avoid it and in the process end up having to do more to make up for what they missed. They will have also spent time and energy on avoiding it in the process, making it the source of greater anxiety in the end. Overplanning and defiance go hand in hand in their root cause. 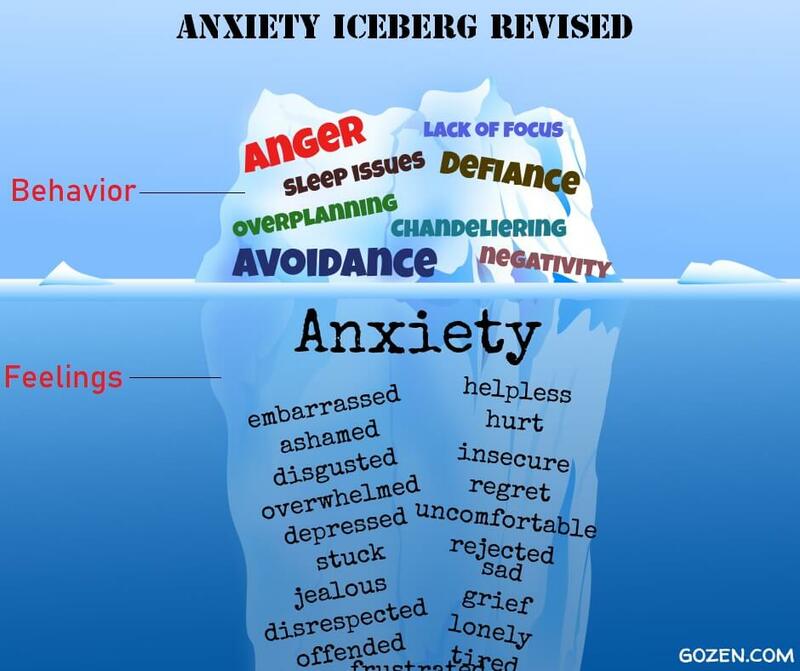 Where anxiety can cause some children to try to take back control through defiant behaviour, it can cause others to over plan for situations where planning is minimal or unnecessary. A child with anxiety who has been invited to a friend’s birthday party may not only plan what they will wear and what gift to take, they will ask questions about who else will be there, what they will be doing, when their parent will pick them up, what they should do if someone at the party has an allergy, who to call if they get nervous or uncomfortable, who they can talk to while they are there… Preparing for every possibility is a way a child with anxiety takes control of an uncontrollable situation.